An ultra-smooth ride for town and country, Friedrich demonstrates that style and comfort are not mutually exclusive. 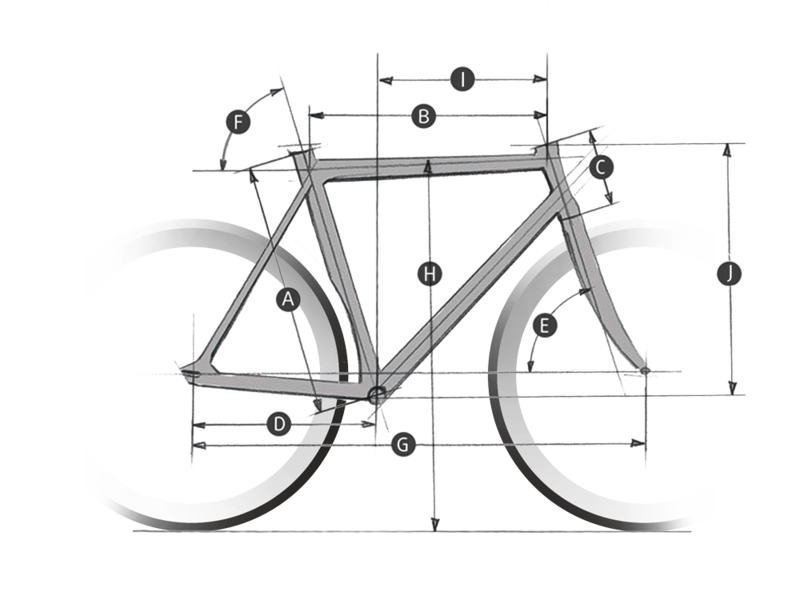 Friedrich is agile and efficient for the city, but easily functions as the perfect bike for a weekend away. 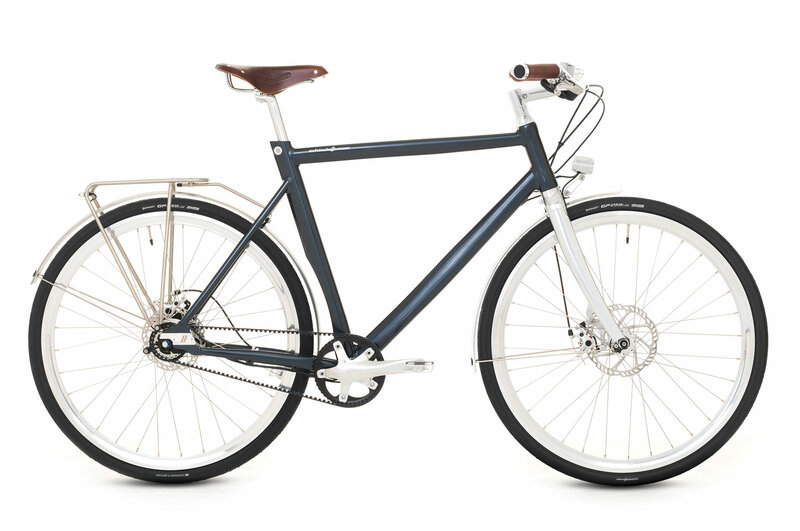 Equipped with Curana mudguards, an integrated Supernova lighting system, and a sleek Tubus rear rack, Friedrich also features the maintenance-free Gates Carbon Drive CDX CenterTrack. Friedrich is available in two versions, with an 8- or 11-speed Shimano Alfine hub. Built for a lifetime on the road with the highest quality components and refined design to ensure a fantastic appearance for years to come. Friedrich is built for those with a keen eye for aesthetics and hunger for performance. 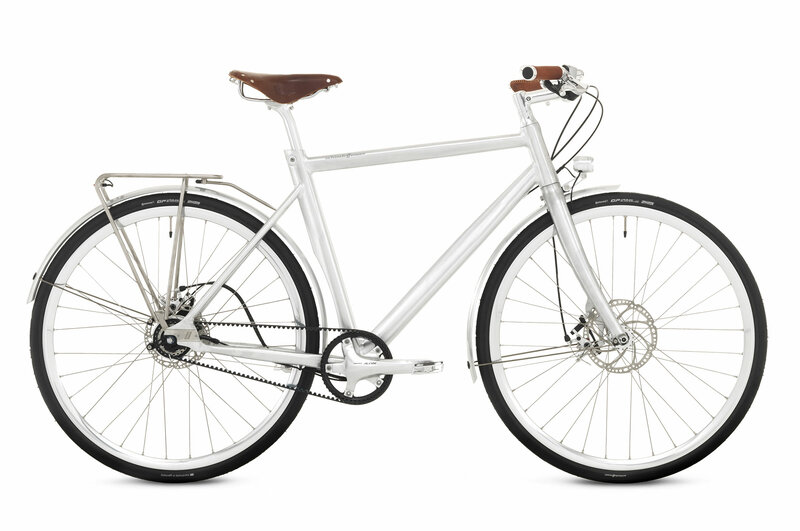 On this 2016 model the disc brake cable runs alongside the fork. Because we love minimal solutions and a clean design, we have developed a new through-axle fork in 2017, which includes internal cable routing for the lights and brake. The brake lever on this Friedrich has an integrated bell, but a slightly smaller braking effect than the current one.